Noosa V.I.P. Limousines offer stylish, chauffeured transport for your wedding, airport transfers, conference or special event from Noosa at the top of the Sunshine Coast to Brisbane, Queensland, Australia. Whether you prefer to hire an elegant stretch limousine or a gleaming sedan, Noosa V.I.P. Limousines can supply immaculately groomed chauffeurs and luxury cars to transport you safely to your destination in South East Queensland. other quality South East Queensland limousine services. Noosa V.I.P. Excels in the Prestigious ABIA Awards! 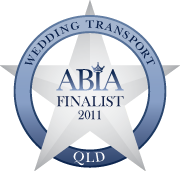 Congratulations to Glenda McCallum for Noosa V.I.P Limousines’ FIRST PLACE in the 2012 ABIA’s “Designer of Dreams” Wedding Transport award!!! 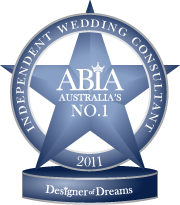 Glenda McCallum has also been awarded the 2012 ABIA’s “Designer of Dreams” award and voted #1 Wedding Consultant in AUSTRALIA!! 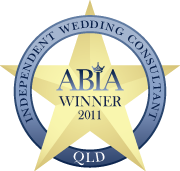 Announced in February 2013, the 2012 ABIA “Designer of Dreams” Titles are awarded to wedding suppliers over the whole of Australia who have consistently proven their ability to generate excellence in product, service, value and staff over a 4 year period. The ABIAs are a much sought-after Award for Australian wedding suppliers as they are determined by the votes of past brides. Noosa V.I.P. Limousines was nominated for an ABIA based on the quality of product, quality of service, value for money and the attitude of the staff who serviced the brides needs, before, during and after their wedding day.